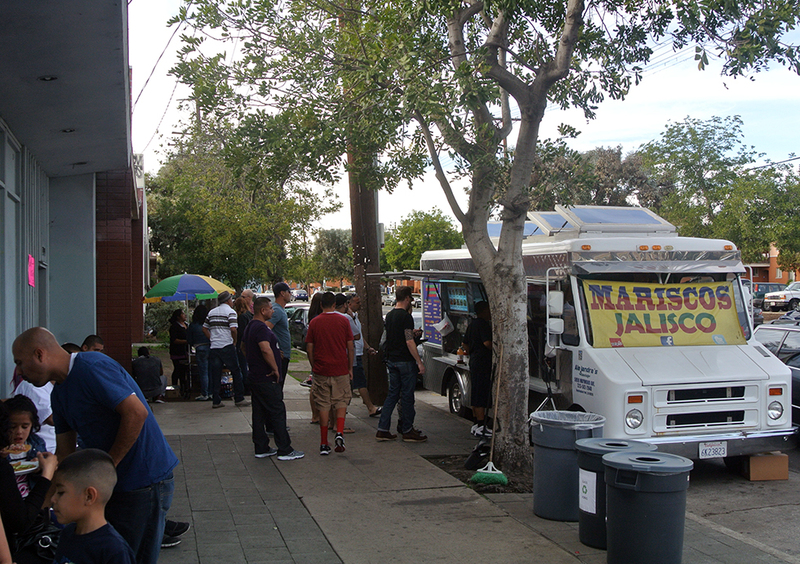 For the uninitiated, the thought of eating seafood served from a taco truck can be downright frightening. 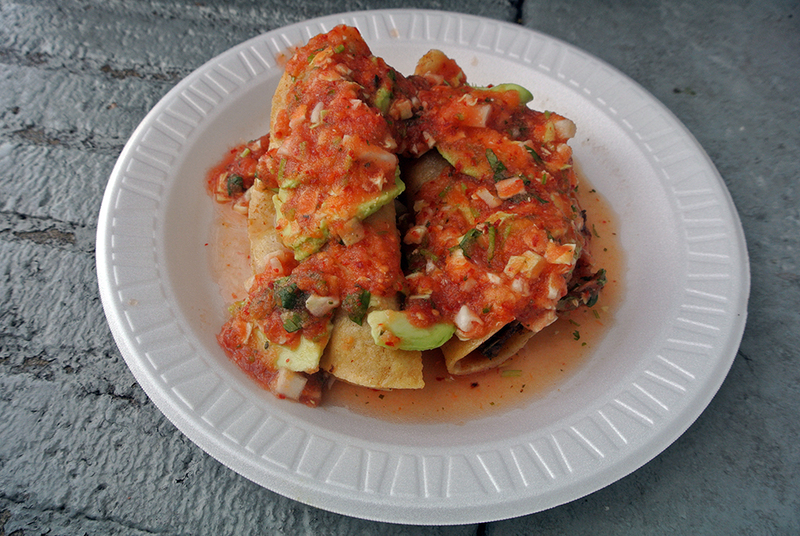 But refer to any list of Los Angeles’ best tacos and you are guaranteed to see the name Mariscos Jalisco listed somewhere in the top 10. As you pass the humble white kitchen on wheels parked along the south side of Olympic Blvd you’ll think to yourself, there’s no way that many people would subject themselves to bad seafood. And you’re right. As you look closer, you’ll see that just about every person has at least one styrofoam plate covered in saucy redness, nearly obscuring the otherworldly tacos de camarones underneath. Raul Ortega has been frying up his pride and joy shrimp tacos for over ten years now, and though the crowd at Mariscos 4 Vientos up the street may be bigger, it’s Ortega’s tacos that attract customers from around the city and across the state. It may take a few tries to figure out an approach that prevents the sauce and/or taco contents from emptying out onto your lap, but it’s a worthwhile mess. Holding the plate steady with one hand, try to find a not-so-sauced section of the taco with the other hand and bring one end to your mouth. The first bite is majestic in its crunch and pure corn and oil essence, the crispy brown outer portion of the filling not quite registering on the palate. The next few bites are the best, the fried shell softened under the weight of avocado slices and cabbage-speckled salsa, revealing the warm, creamy shrimp-studded interior. The interplay of texture and taste is unrivaled; it’s impossible to eat only one. With so much attention given to the tacos it’s easy to overlook the rest of the menu. I finally decided to supplement my regular taco order with a mixed ceviche tostada. For those wary about consuming seafood from a lonchero, this five dollar plate will instantly calm your fears; the shrimp were plump and snappy to the bite, the octopus fork-tender, while the fish along the bottom soaked up all of the citrus-laced juices seeping down from above. Extra tostada shells are available free of charge to scoop everything up before cracking into the base once you’ve made a dent in the mound of ocean delights. 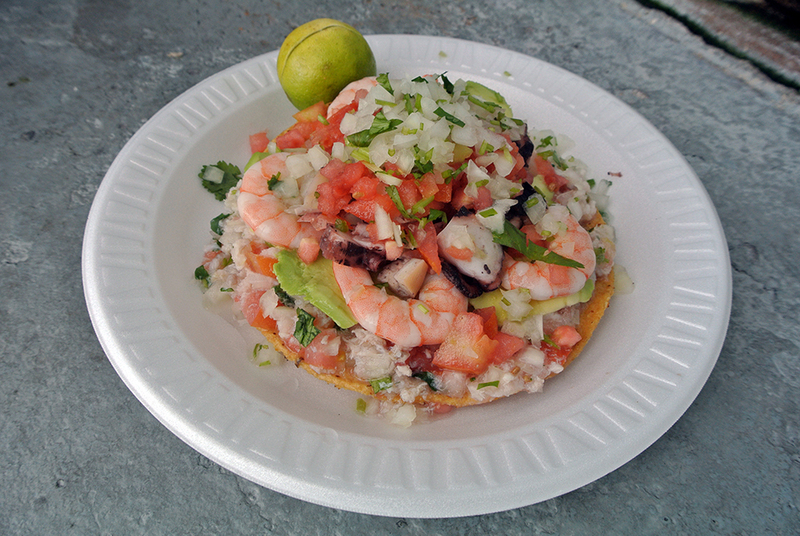 In a city overrun with tacos of every type, the crunchy shrimp ones at Mariscos Jalisco just might be my favorite. 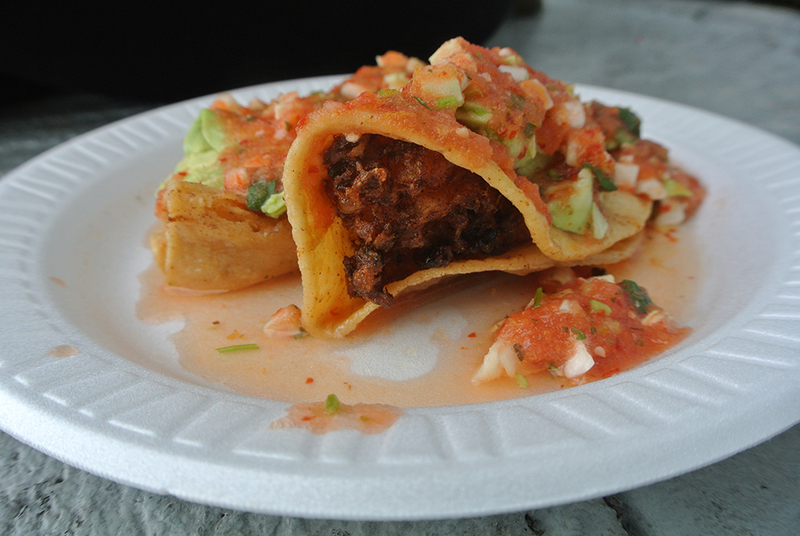 Yes, you may have to drive a few extra miles than usual to satisfy your taco cravings, but the first shell-shattering bite will turn you into an instant believer. Raul Ortega has been doing this for over ten years, and as long as his closely-guarded recipe remains unchanged, these will continue to reach the top of every taco list worth a damn.